Without question, a mesh coil gives you the best vaping experience currently available with a sub-ohm tank. Mesh coils give you high surface area with low mass, so they produce huge vapor clouds without requiring extremely powerful high-wattage mods. Since a mesh coil is flat rather than ridged on the outside, it’ll make excellent contact with the wick and will almost always operate without spitting or popping. Solid wick contact also means that mesh coils resist drying out, seldom develop hot spots and often last longer than traditional sub-ohm vaping coils. What’s the best mesh coil on the market? It’s the Freemax Mesh Pro coil. Without question, a mesh coil gives you the best vaping experience currently available with a sub-ohm tank. 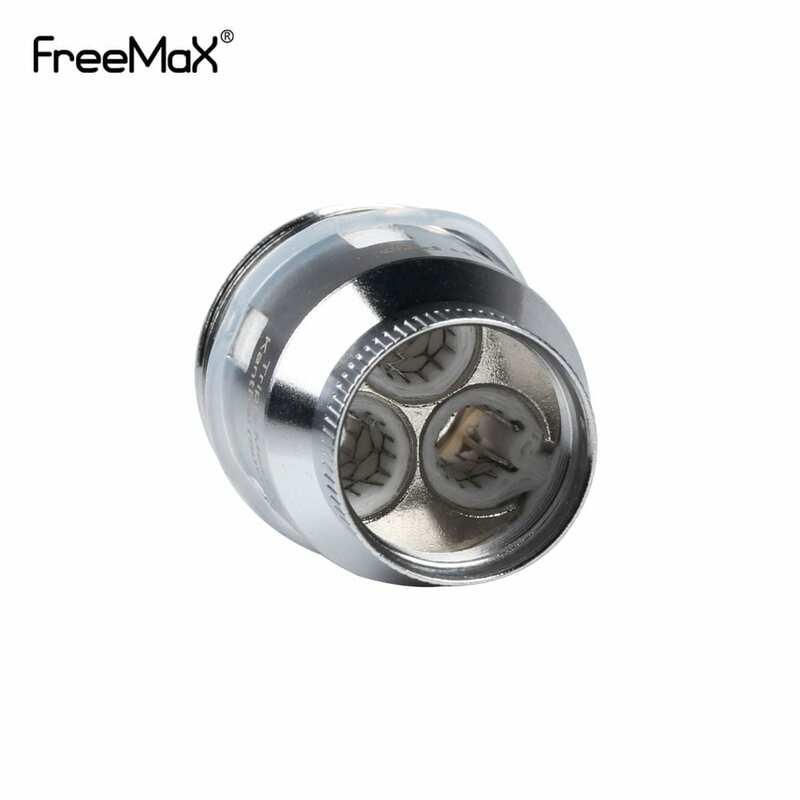 Freemax Mesh Pro coils give you high surface area with low mass, so they produce huge vapor clouds without requiring extremely powerful high-wattage mods. Since a mesh coil is flat rather than ridged on the outside, it’ll make excellent contact with the wick and will almost always operate without spitting or popping. Solid wick contact also means that mesh coils resist drying out, seldom develop hot spots and often last longer than traditional sub-ohm vaping coils. What’s the best mesh coil on the market? 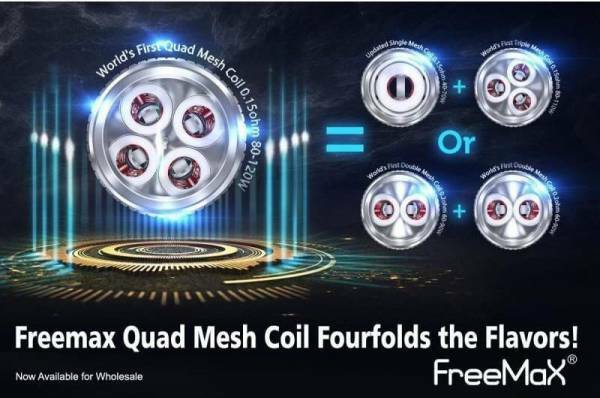 It’s the Freemax Mesh Pro coil. We’ll explain why. 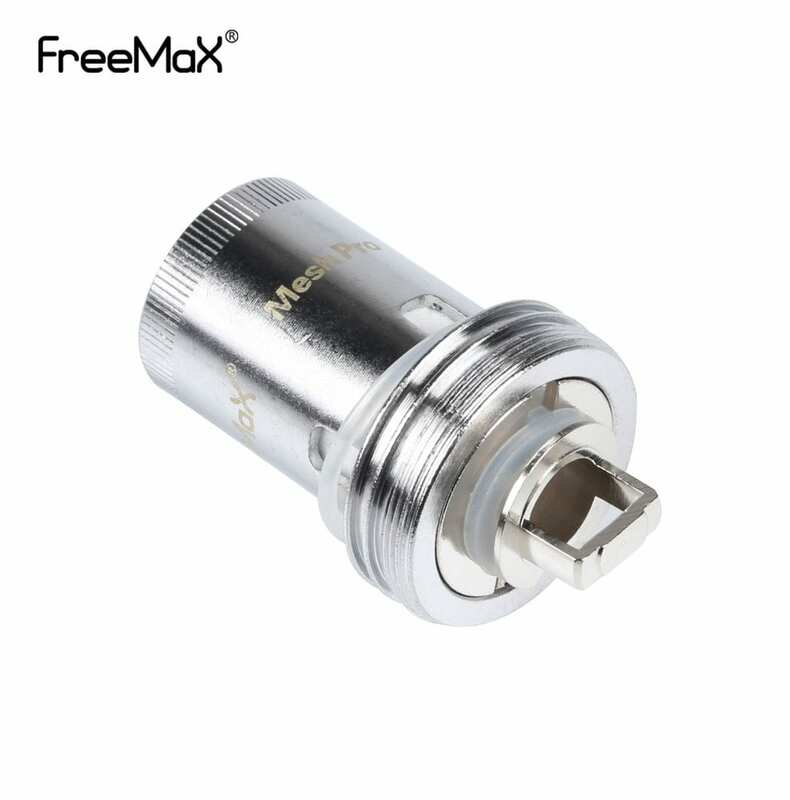 Freemax earned worldwide fame in 2017 when it became the first company to release a sub-ohm tank using mesh coils. The Freemax Fireluke Mesh was so successful, in fact, that other companies almost immediately began copying the design. You can find mesh coils for all of the most popular vaping tanks today — and you can thank Freemax for that. In 2018, Freemax returned to the drawing board to design something even more revolutionary. The Freemax Mesh Pro tank was the result. It’s the first tank to use double, triple and quad mesh coils, and that means it’s the first mesh coil tank for cloud chasing. Do you want a sub-ohm tank with cloud production that can compete with any RDA? 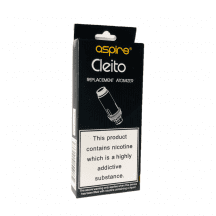 Do you want to enjoy that cloud production with a tank that doesn’t require a huge high-wattage mod? The Freemax Mesh Pro is the tank for you. You can get your replacement Freemax Mesh Pro coils right here. Every coil from Vapors Planet is guaranteed authentic, and we ship all retail orders for free. What’s Special About the Freemax Mesh Pro Tank? It’s the world’s first tank with double, triple and quad mesh coils. When other companies in the vaping industry begin to copy the design — and they definitely will copy this tank — you’ll know that Freemax was there first. Mesh coils already have great durability, and the Freemax Mesh Pro enhances that durability further with a proprietary wick design blending traditional cotton with flax fiber. If you avoid using coil-killing e-liquids, you can expect Freemax Mesh Pro coils to last weeks. You’ll love the top-quality engineering of the Freemax Mesh Pro tank. It’s easy to take apart and put back together. The resin mouthpiece feels great and prevents spitting. The tank’s sliding top hardware makes filling fast. The huge wick holes draw in juice just as quickly as you can vape it. The bottom pin is fully adjustable. Everything about this tank is designed with long-term use in mind. 0.15-ohm Single Mesh Coil: Suggested operating range of 40-70 watts. For direct-to-lung inhaling. 0.20-ohm Double Mesh Coil: Suggested operating range of 60-90 watts. For direct-to-lung inhaling. 0.15-ohm Triple Mesh Coil: Suggested operating range of 80-110 watts. For direct-to-lung inhaling. 0.15-ohm Quad Mesh Coil: Suggested operating range of 80-120 watts. For direct-to-lung inhaling. 0.12-ohm SS316L Single Mesh Coil: For temperature control operation between 400-550 degrees Fahrenheit. For direct-to-lung inhaling.